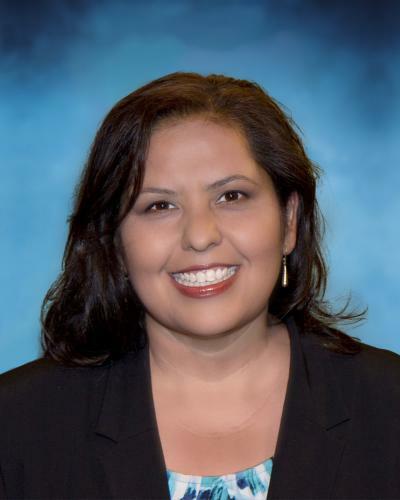 Mónica García proudly represents Board District 2 in the Los Angeles Unified School District, the second-largest school district in the nation. With her bold call to action for “Diplomas for All,” Board President García has galvanized the L.A. Unified school community to take aggressive action to reach 100% graduation and break the cycle of poverty by ensuring that every child can read, write, think, and believe. Since her election to the Board in June 2006, Ms. García and the educational justice movement have successfully championed school reform models that offer students smaller and more personalized settings. These options give school sites the autonomy they need to prepare all students for college or career. To date, more than 250,000 students are now served in this growing portfolio of reform models, which include single-gender academies, partnership schools, in-district teacher led academies called “pilot” schools that operate under a reform labor contract and charter schools. District-wide, Ms. García led the campaign to pass a $7 billion school bond for the largest new school construction program in U.S. history. In addition, these funds created opportunities to leverage much needed health and human services through the successful $50 million Wellness Center Initiative. She has increased accountability by spearheading the development of School Report Cards. She has led an aggressive effort to increase equity through a groundbreaking “per-pupil” funding strategy that ensures dollars follow the student to school sites. Her focus on the needs of English Learner students, who make up 25% of L.A. Unified’s student community, has yielded a deep shift in the District’s instructional approach. Additionally, Ms. García has authored School Discipline policies and facilitated cross-jurisdictional partnerships that embrace our students’ desire to learn and our educators’ willingness to teach by implementing Restorative Justice techniques, resulting in reduced suspension rates and increased learning time. This work has resulted in suspension rates falling to less than a tenth of a percent in 2016. Board President García was elected to the Board of Education in June 2006, becoming the third Latina to serve on the Board in its 155-year history. She served an unprecedented six years as Board President, a position to which she was elected by her fellow Board Members. Previously, Ms. García served as an Academic Advisor in South Los Angeles at Foshay Learning Center and Edison Middle School during her six-year tenure with Volunteers of America’s Educational Talent Search Program. Through her work as a guidance counselor, she solidified her belief that when adults offer opportunities and support, every child can learn. Immediately prior to joining the Board of Education, Ms. García served as Chief of Staff to a L.A. Unified Board Member. Her efforts in that role helped lay the groundwork for the construction of 131 new schools and in 2017, all 131 new schools have opened their doors adding over 125,000 new seats for students. Her work also led to the adoption of the A-G requirements that guarantees every student in the district access to a college-preparatory curriculum. Ms. García was born and raised in East Los Angeles. She attended local schools and graduated from the University of California, Berkeley with a B.A. degree in Chicano Studies and Political Science. She earned her Master’s Degree in Social Work from the University of Southern California.